Yay! I have been anxiously awaiting their arrival. 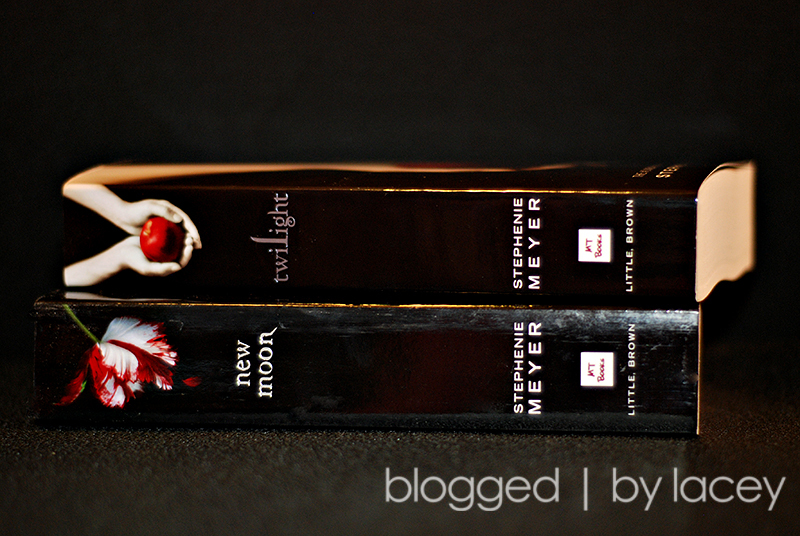 The first two books in the Twilight series. Yes, I am jumping on the Twilight bandwagon. I figure, why not…they are highly raved about and I LOVE vampire books. Anne Rice was a favorite of mine for many years. Unfortunately I am too tired to start them tonight, but you can bet a good chunk of tomorrow will probably be spend reading! Once you get started you won’t be able to put it down! I started Twilight the other day. While at the dealership waiting for them to fix my car I did not hear them page me three times because I was so engrossed!! Enjoy, I know I am! I know you’ll enjoy them! I thought for sure I wouldn’t be into them but a friend from work lent me the first one and I never put it down, nor did I put down the other 3 either!!! They are a good read! Enjoy! I’ve read all the Twilight Books and I loved them. My daughter, who is 15, put me onto them – I’m getting the majority of my reading recommendations through her these days! We’re keen to see the movie although we’re not happy with the choice of actor for the lovely Edward. Mind you I can’t imagine kissing icecold lips! You will have to let us know what you think!! I read them all in a week and absolutely loved them!! They are great! I’m on book 3 right now. If you like vampire books, read the Charlaine Harris Southern Vampire series…and the Betsy the Vampire Queen series…can’t remember the author right now. Both are hilarious.